What type of electroplated finishes do you offer? What base materials can you plate onto? What metal can you electroform? In electroforming what materials can you electroform onto? What thicknesses should I ask you to plate? Ours standard silver plate thickness is 25 microns. For gold we have a minimum thickness of 1 micron but if being deposited on to a tarnishing metal then we would suggest either depositing bright nickel first and then gold plating or a minimum thickness of 3 microns if plating is directly on to a tarnishing metal going up to typically 5 microns. What thicknesses can you electroform up to? On to waxes or resins we normally suggest a minimum thickness of 0.010”/0.25mm. In to moulds or where the final plated surface is not of importance or is to be polished, we can Electroform in copper and silver up to a thickness of 25mm. 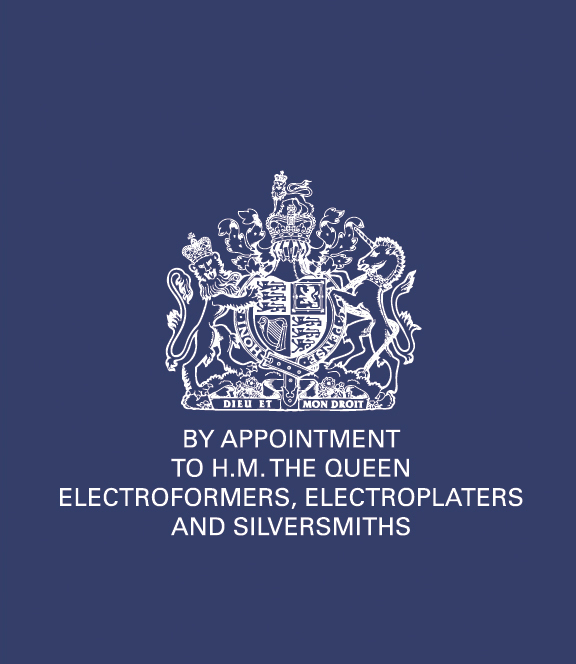 What are BJS’ main markets for electroplating? What are BJS’ main markets for electroforming?